An Ocotillo shows off its Autumn colors of gold and green as sunrise comes to Santa Elena Canyon in Big Bend National Park. 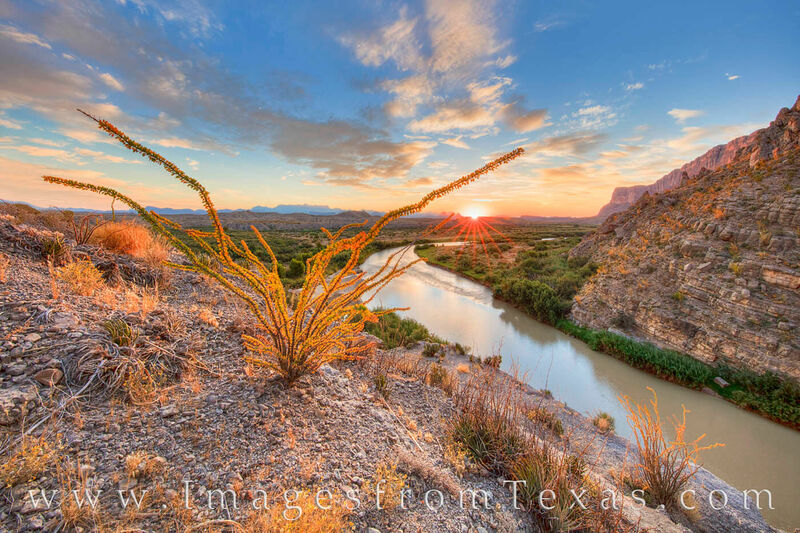 Far below, the Rio Grande flows eastward through the Chihuahuan Desert towards the Chisos Mountains. This November morning was one of my favorite experiences while photographing this remote region in Texas. Photo © copyright by Rob Greebon.